Even compared to Aboriginal and Torres Strait Islanders in the same age group, who are already at a disadvantage, Stolen Generations members are suffering more. “While the Rudd-Gillard-Rudd Government failed to commission this important work following the National Apology in 2008, I am pleased that we now have a comprehensive understanding of the demographics and needs of surviving members of the Stolen Generations. The results are significant and illustrate the enduring devastation of past government policies. I thank the AIHW and the Healing Foundation for their comprehensive work on this report, the first analysis of its kind. “These findings will help all governments to better support the Stolen Generations and their families. “A Shorten Labor Government will respond to the legacy of pain and trauma that the Stolen Generations, their families and their communities continue to experience today. A Shorten Labor Government will establish a Stolen Generations Compensation Scheme. A new report from the Australian Institute of Health and Welfare highlights the urgent need to overhaul policies and services for Australia’s Stolen Generations and tackle the impact of Intergenerational Trauma in Aboriginal and Torres Strait Islander communities, according to The Healing Foundation Board Chair Steve Larkin. 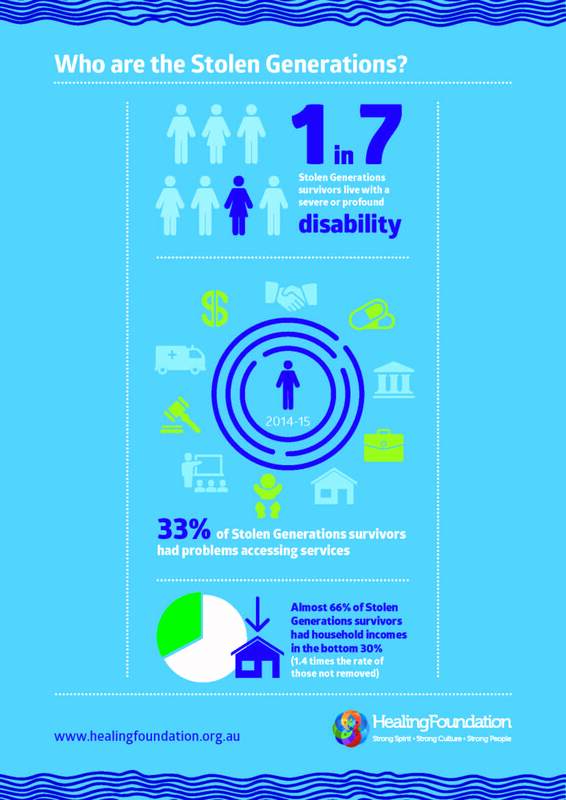 According to today’s report the Stolen Generations are more than three times as likely to have been incarcerated in the last five years, almost twice as likely to rely on government payments and 1.5 times as likely to experience poor mental health. They are also more likely to suffer chronic health conditions like cancer, diabetes and heart disease. 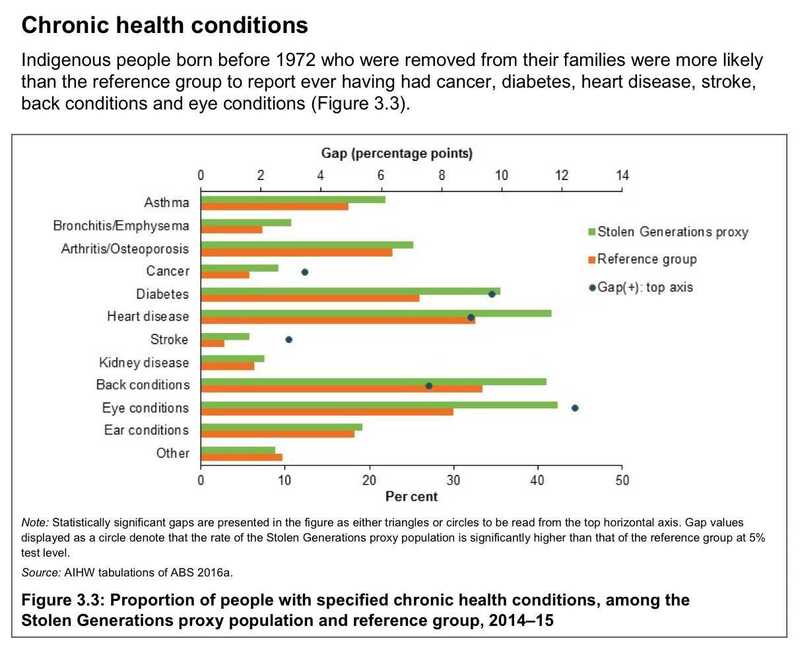 The AIHW report shows that the descendants of the Stolen Generations consistently experience poorer health and social outcomes, compared to other Aboriginal and Torres Strait Islander people. For example, they are almost twice as likely to have experienced violence, 1.5 times as likely to have been arrested by police (in the last 5 years) and 1.2 times as likely to have used substances (in the preceding 12 months). Professor Larkin said the level of disadvantage outlined in the report was appalling but should not come as a surprise. “The Stolen Generations were denied a proper education or a decent wage, which put them at a financial loss right from the start. But more fundamentally, they endured significant childhood trauma when they were taken from their families, isolated, institutionalised and often abused. “If people don’t have an opportunity to heal from trauma, it continues to impact on the way they think and behave, which can lead to a range of negative outcomes, including poor health, substance abuse, suicide and violence. “This leads to a vicious cycle of trauma, and its many insidious symptoms, and increasing levels of social and economic disadvantage, across generations,” said Professor Larkin. 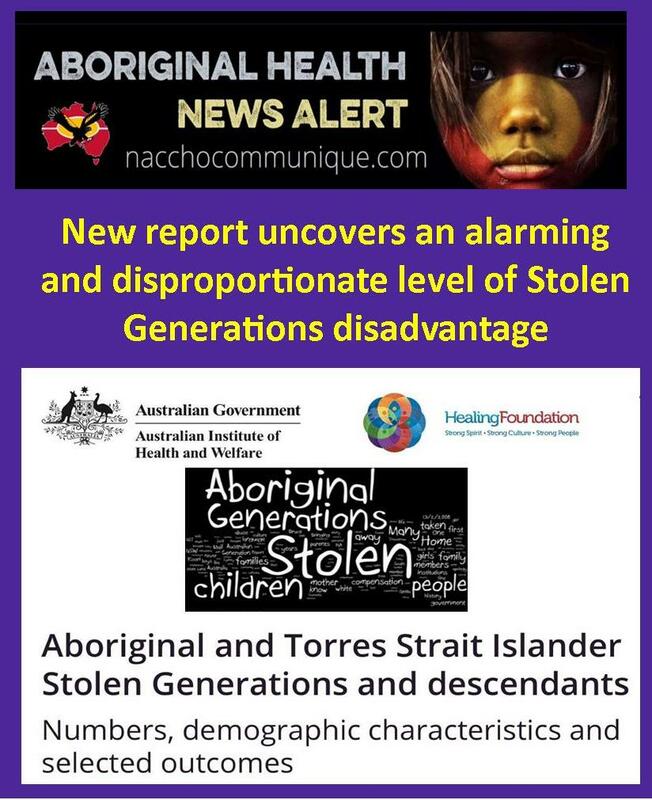 “This report shows us that one third of today’s adult Aboriginal and Torres Strait Islander community are descendants of the Stolen Generations and that number is going to keep growing. Today’s demographic report is the first step in The Healing Foundation’s Action Plan for Healing project, which the federal government funded last year. Professor Larkin said we need to act quickly to scale up appropriate services, address reparations at a national level and deal with the complex aged care needs that have been outlined in the report. 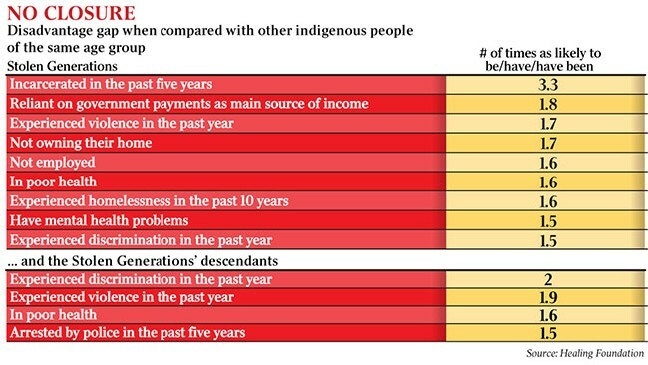 “We also need a National Intergenerational Trauma Strategy to halt the spread of trauma and attack the root cause of many social and health problems. “It’s too late for many of the Stolen Generations who died young and tragically because of the poor health and welfare issues outlined in this report, but we can do better for the Aboriginal and Torres Strait Islander people still experiencing the impacts,” he said. The Healing Foundation is a national Aboriginal and Torres Strait Islander organisation that partners with communities to heal trauma caused by the widespread and deliberate disruption of populations, cultures and languages over 230 years. This includes specific actions like the forced removal of children from their families. 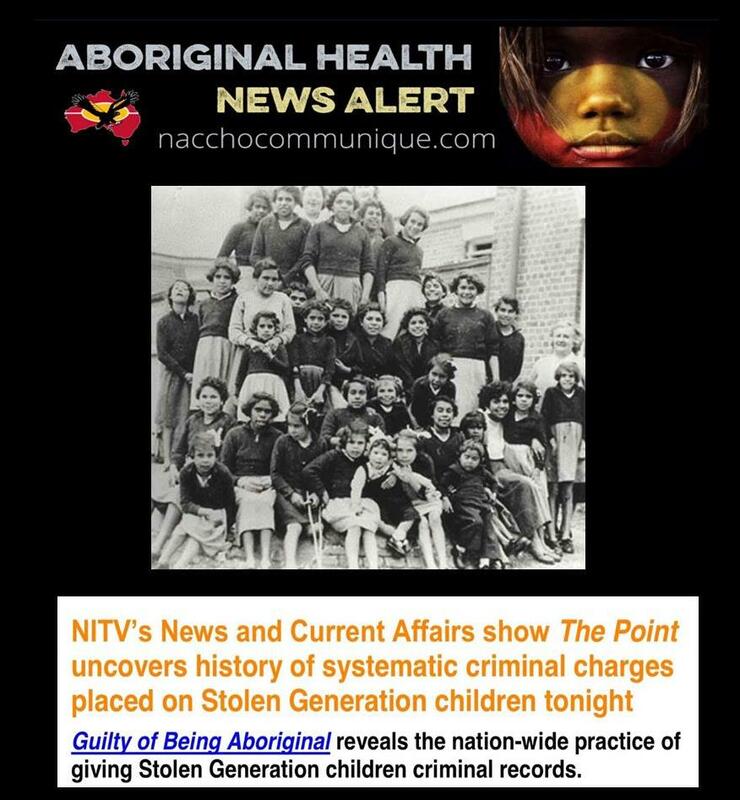 The Turnbull Government has today released a landmark analysis conducted by the Australian Institute of Health and Welfare (AIHW) in partnership with the Healing Foundation into the outcomes and current needs of the Stolen Generations. 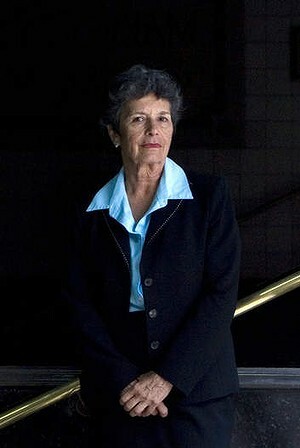 The Aboriginal and Torres Strait Islander Stolen Generations and descendants: Numbers, demographic characteristics and selected outcomes report found that there are an estimated 17,000 members of the Stolen Generations alive in 2018 who continue to experience significant social and economic disadvantage compared to other Indigenous Australians. 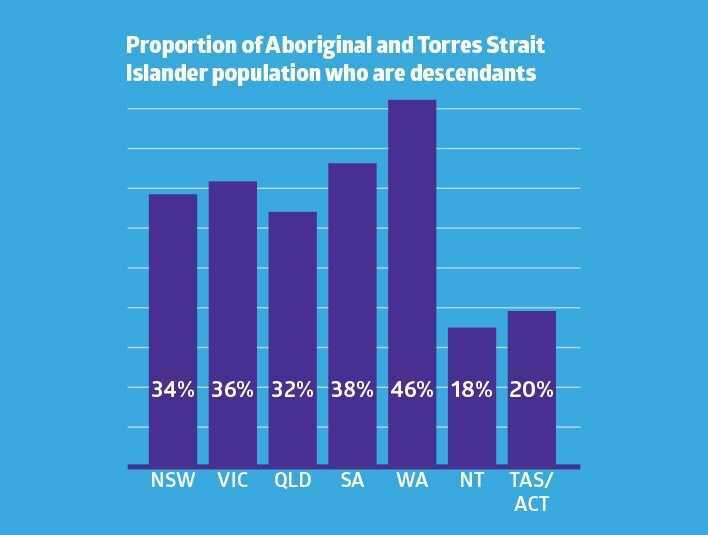 The report estimated that an average of 11 percent of Aboriginal and Torres Strait Islander people born before 1972 were removed from their families. The Minister for Indigenous Affairs, Nigel Scullion said this report was a critical analysis needed to enable governments to better meet the contemporary needs of members of the Stolen Generations. 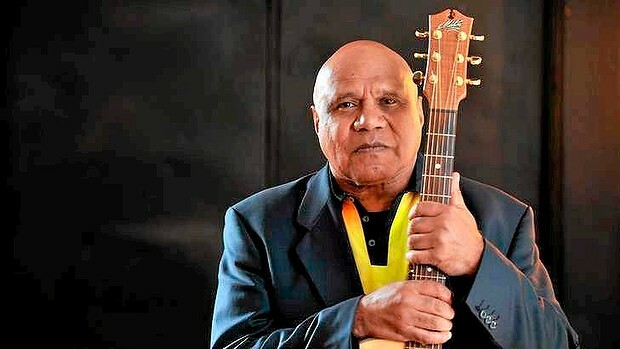 The Commonwealth has provided around $50 million to the Healing Foundation since 2009 to support their work and is currently delivering more than $44 million to over 100 organisations to provide social and emotional wellbeing activities including to support members of the Stolen Generations and their families. The report was commissioned by the Australian Government in partnership with the Healing Foundation. This work was undertaken in response to the Healing Foundation’s Report titled Bringing them Home 20 years on: an action plan for healing, which recommended a comprehensive analysis to understand the current needs of the Stolen Generations.